Photograph: Courtesy Please Do Not Enter Projection by Vincent Lamouroux. 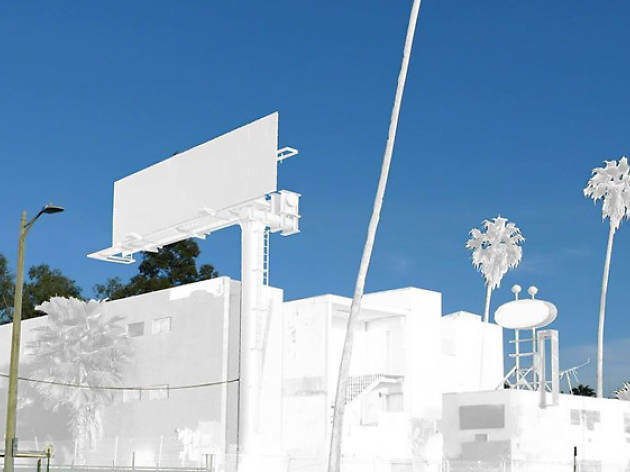 Silver Lake's creepy, derelict Sunset Pacific Motel (a.k.a. Bates Motel) has been soaked in limewash for French artist Vincent Lamouroux latest ephemeral art installation. 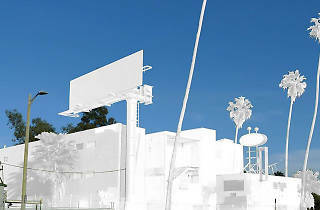 The building (4301 Sunset Blvd), adjacent billboard and nearby palm trees have all been painted white to create a ghostly looking installation. Projection will officially open on April 26 for a first viewing (3pm) and remain on view until May 10 (at which point its paint will have surely faded, though that's kind of the point).